After Lukman’s article about the inqaba biotec West Africa team last week, it is my turn again for a new article. Today I present to you the team running our oligo synthesis service. This service is THE inqaba biotec core service. With the oligo synthesis service, our company started the business in 2002 and continuously added more and more services. We are very proud to be the first and only commercial producer of South-Africa-made-oligos, and of course also of being able to provide the fastest turnaround times for oligos within the country. Back in 2002, we started oligo production using two PolyGen DNA-Synthesizer. To be able to serve the increasing demands during the years, we added in 2007 and 2010 another two of the same Synthesizers. One year ago, we bought a novel high-tech oligo synthesizer from Bioautomation: the MerMade! With the MerMade 192E we are now able to produce up to 1000 oligos in one day. But the oligos do not produce themselves alone and especially purification and quality control require important bench work. Therefore, a qualified, efficient and happy team is needed. The oligo production manager and team leader is Tumi. Tumi started as an intern at inqaba biotec 11 years ago. After one year of internship she received a permanent position as a technician in the oligo production lab. Tumi studied at TUT for 5 years in total and holds now a BTech degree in Biotechnology. 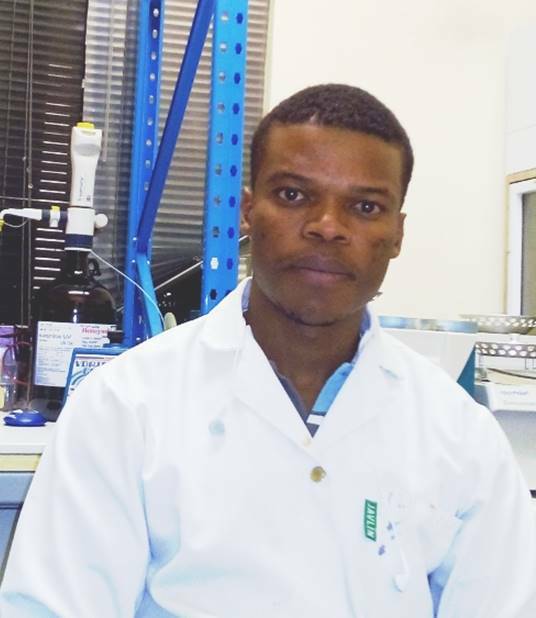 Tumi stayed at inqaba biotec and has been our oligo production manager for many years now. She oversees the daily oligo production, assures that every order is processed in time, responds to customer queries and trains one or two interns in her lab per year. Tumi grew up in Rustenburg and now lives in Pretoria with her husband and son. She likes reading and cooking. Pulane is our technical assistant in the oligo lab. After her high school Pulane did a National Higher Certificate in IT, in Systems Development. Afterwards, she studied Biotechnology at TUT, because she realised that she is more interested in science and technology. She started at inqaba biotec 4 years ago (of course as an intern as well) and has worked in her current position since 2013. Besides her work Pulane is also doing a BSc in Life Science at UNISA and loves spending time with her family and friends. Pulane, Nosiphiwe and Donald perform all the bench work together. They run the Polygen DNA synthesizer and the MerMade, they perform all the different DNA purification methods (Cartridge, PAGE and standard purification) and the quality control experiments. Everyone has its main tasks, but they help each other out whenever they can. Standard Purification is normally done by Pulane. Cartridge and PAGE purification is mostly performed by Nosiphiwe. Nosiphiwe grew up in Carletonville, Gauteng, and studied Biotechnology at Vaal University of Technology. She has worked as intern at inqaba biotec for 2 years and plans to do a BTech in the future as well. Nosiphiwe likes reading and listening to music. 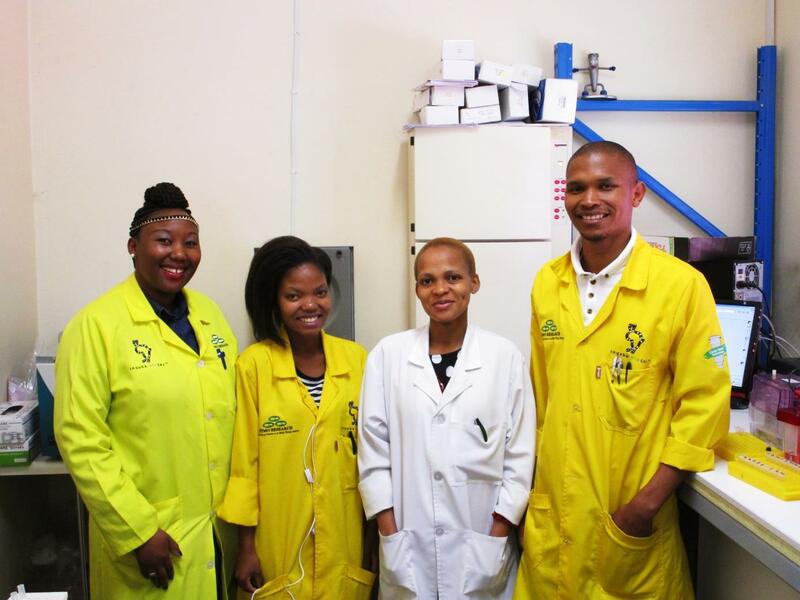 To complete the inqaba biotec Oligo Production team, we have Kabelo. Kabelo produces oligos at night and on weekends. 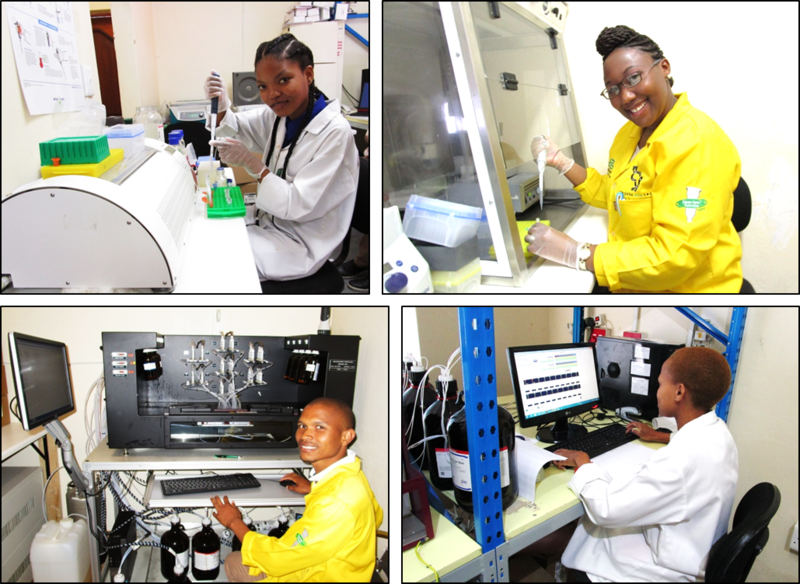 Thanks to Kabelo we are able to maintain our 24/7 oligo production service. Thank you for contacting Inqaba biotec. We apologies for our late response to your inquiry. Please note inqaba appreciates your interaction and interest in joining us. Shortlisting for January internship intake will be done during November/December. Should your application be successful, the relevant department manager will contact you. Thank you for your interest in joining the inqaba team. Kindly forward us your CV and academic record to info@inqababiotec.co.za. Should any vacancies be available, the relevant department manager will be in contact with you. All the best for your studies. Looking forward to hearing from you soon.